1961 specification guide sign shield. Manufactured between 1961 and 1967. This is the sign bridge along U.S. 202 & Delaware 141 north at Exits 3A/B. 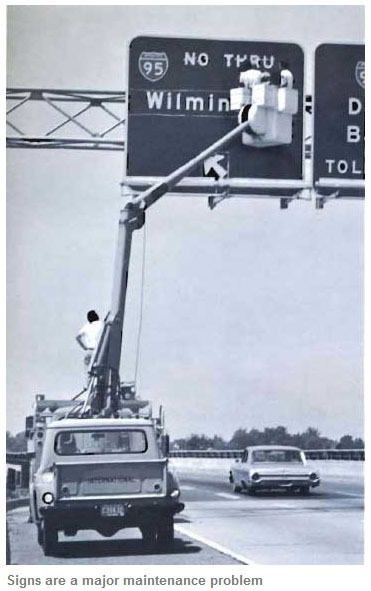 Photo by Delaware DOT, 1967.